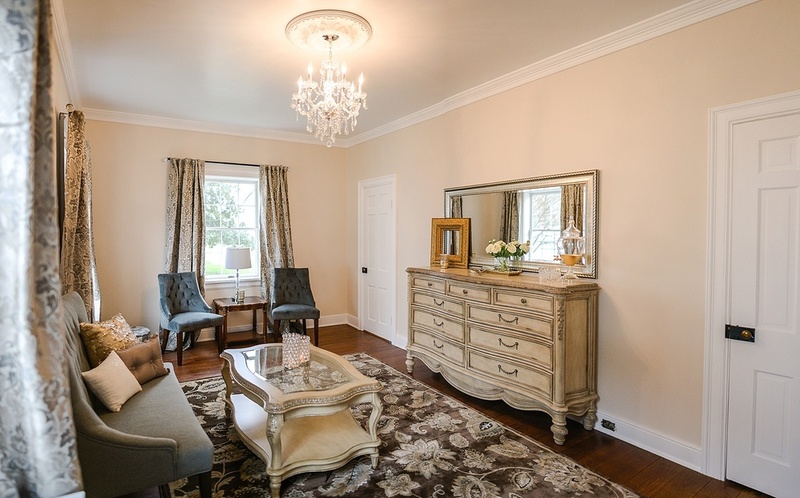 A mid 18th century manor house renovated to capture its original elegance. You can choose to have your ceremony on the steps of the Manor. 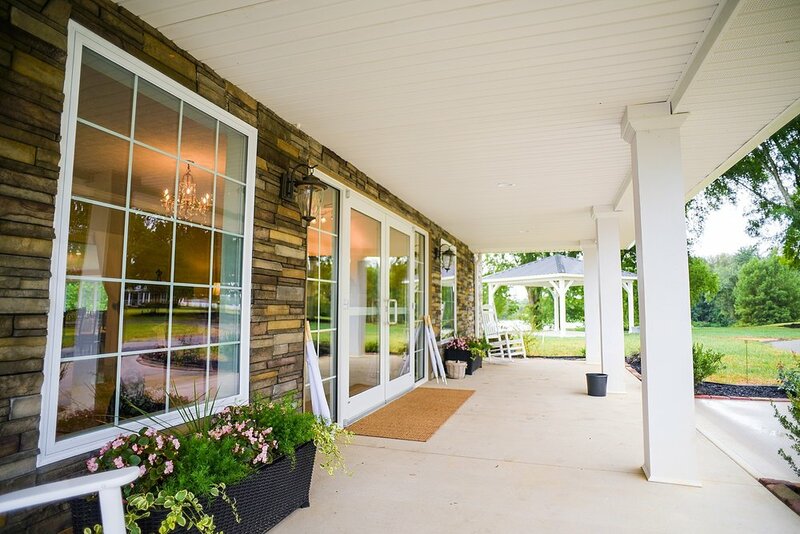 With all the beauty of the countryside surrounding you, you and your guests can celebrate with the bliss of privacy and picturesque views. 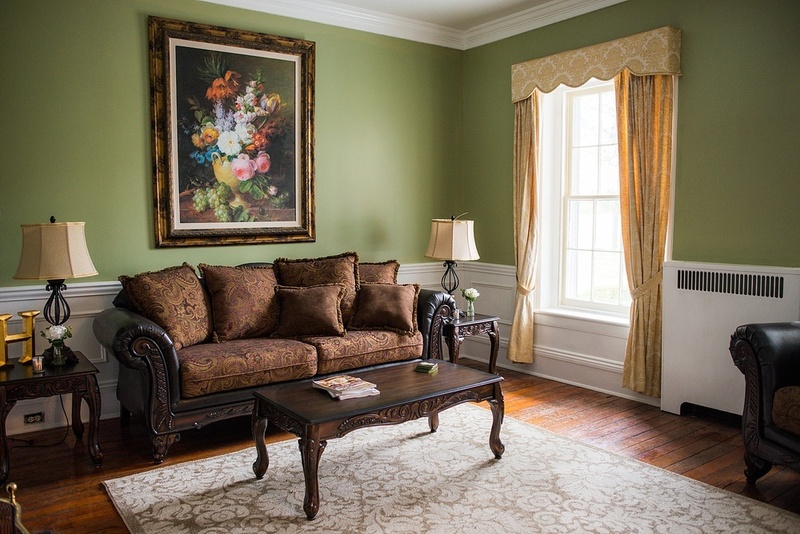 Discover the romantic grace and charm of Hollyfield Manor and see how we can create the perfect Southern wedding that is uniquely yours. 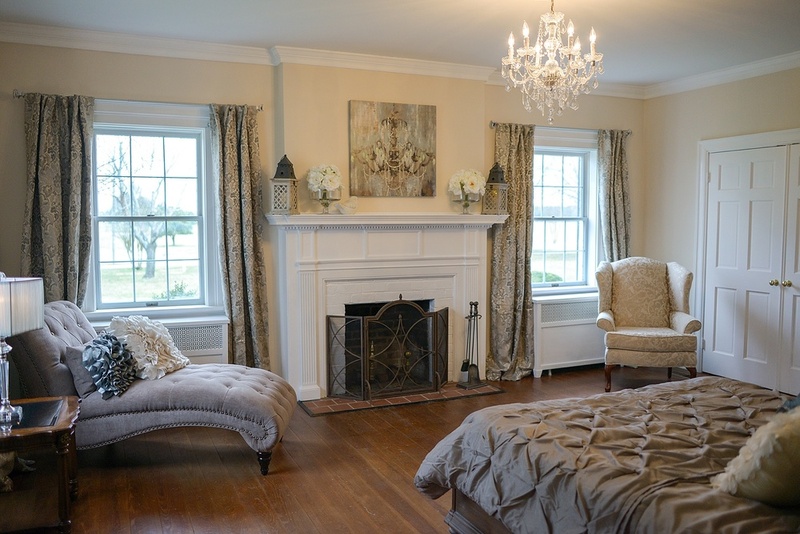 When you first walk in you will notice a touch of contemporary that blends well into the history of Hollyfield Manor. 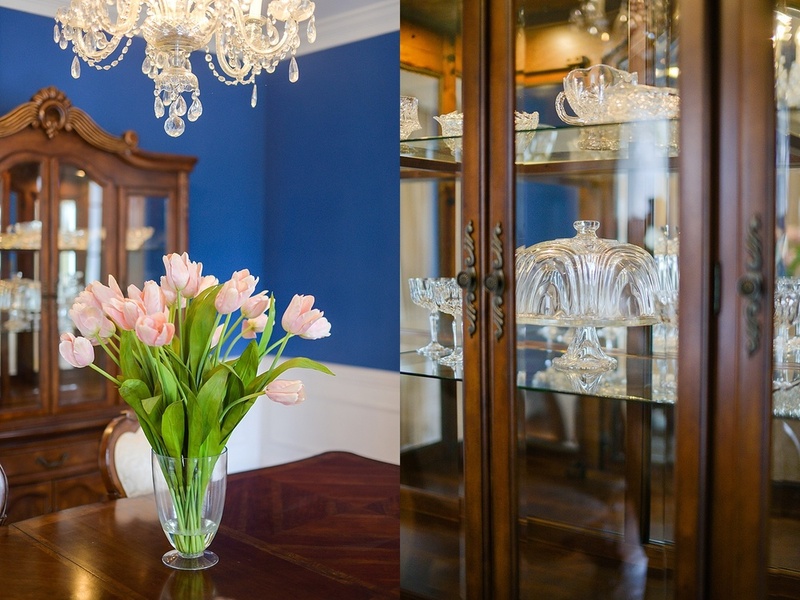 The Manor has been thoughtfully restored for weddings and events. 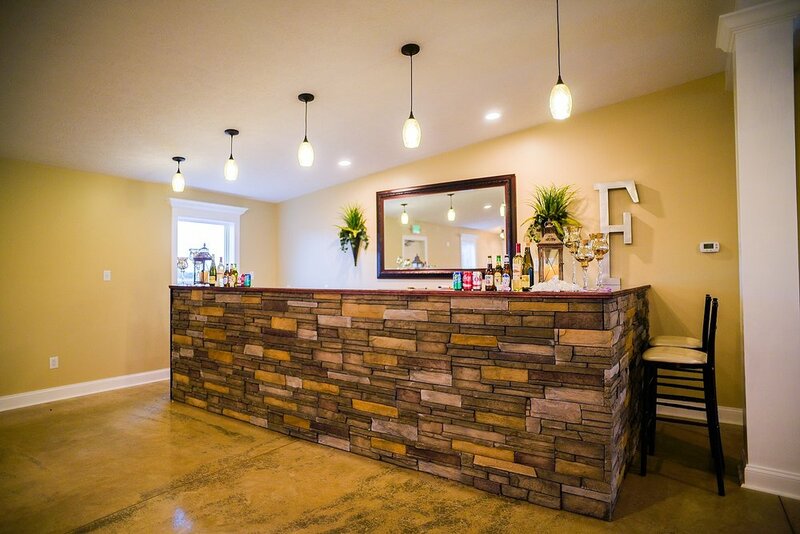 Our brand new Reception Hall is a perfect fit for up to 250 guests comfortably! Including a full bar, a panoramic view of the pond, and enough space to enjoy festivities and dancing! 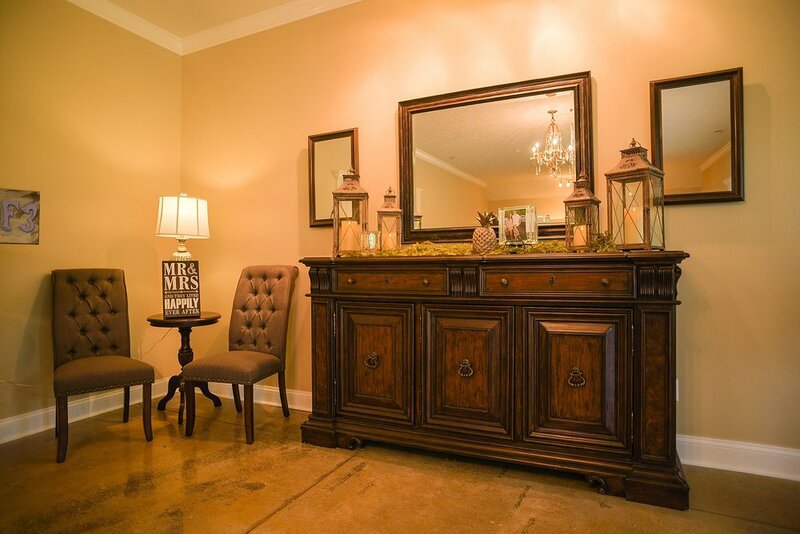 Amenities include two large bathrooms, a foyer area, and an adjacent parking lot. 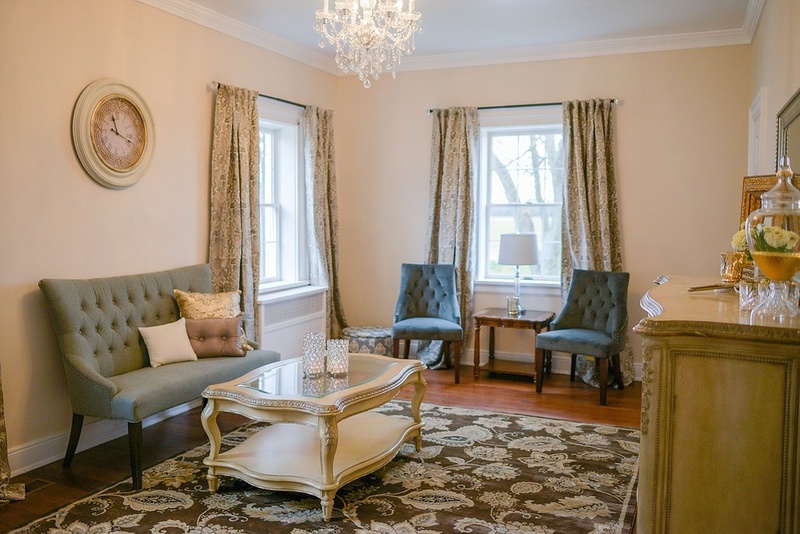 With two full rooms, you and your bridesmaids will have more than enough room to relax as you get ready on your wedding day. 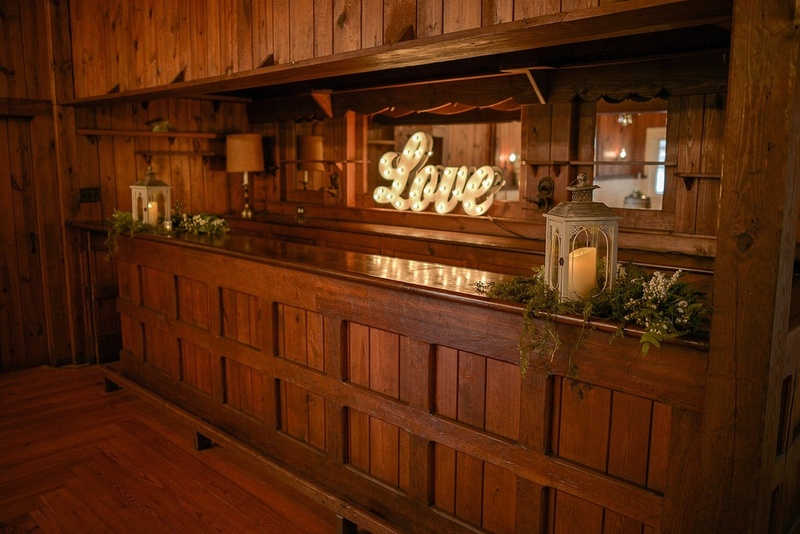 After your ceremony, guests can enjoy cocktail hour in our bar area featuring an elegant, rustic layout with access to an outside screened porch. 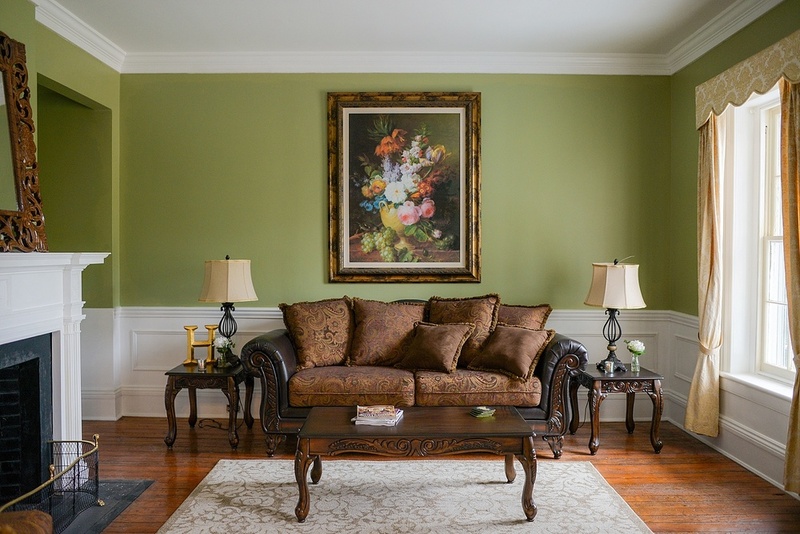 The manor has a picturesque and romantic farm setting with surroundings of towering holly trees, magnolias, boxwoods, and overlooks a spectacular water view. 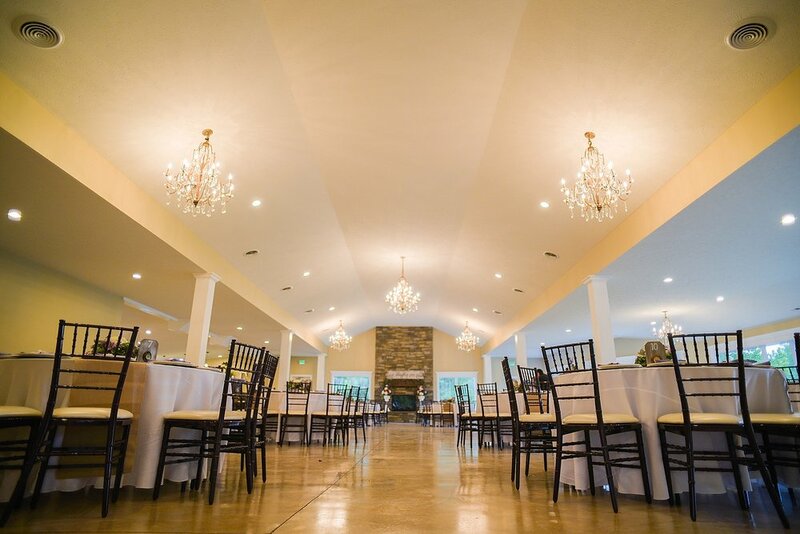 An elegant yet comfortable venue to host all of your wedding festivities. 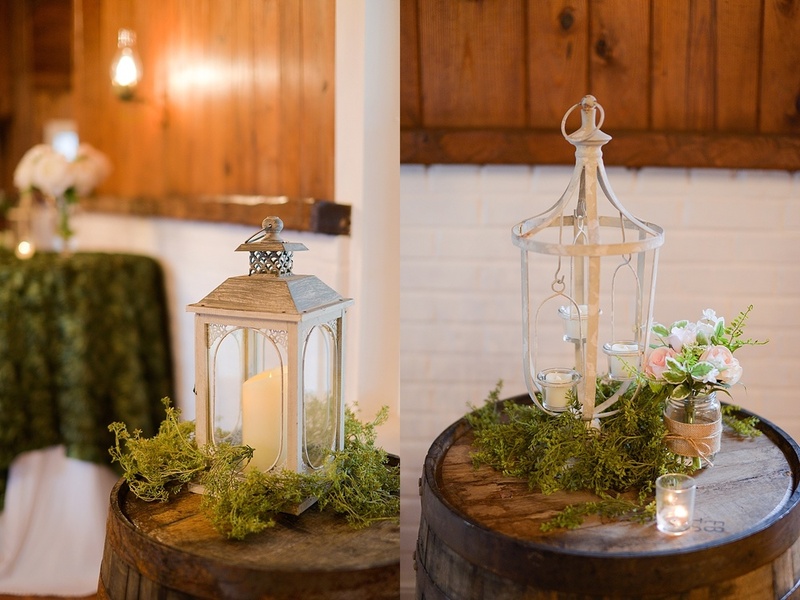 Events flow beautifully into an intimate cocktail hour space in a rustic chic bar area and court yard; complete with hors d’ourves and refreshments. The perfect time for portraits and for your first moments as Mr. & Mrs.